Our offered Ujal Body Mask is a bridal body mask and is used daily for ten days before wedding. It maintains natural oil balance of the skin and leaves it soft and clean. These natural ingredients add youthful glow and tone to the skin of the bride. Provides maximum protection to the face, head, and neck areas, while it's unique rear attachment design virtually eliminates 'hair muss'. The 3-in-1 inclement garment was conceived to replace the standard "not so user-friendly" ski mask and other various cold weather type apparel. A body mask is used to cleanse, detoxify and invigorate skin. Our skin is usually neglected, that is, all but the facial skin. 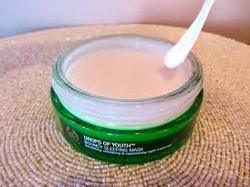 Many times we have multiple products that we use on the face, but only a moisturizer for the body. This luxurious body mask has cocoa, fuller earth and honey. Honey replenishes the dehydrated skin and gives it a beautiful luminous glow. Fuller earth helps in cleansing and tightening the skin. And to complete the indulgence is a sinfully moisturizing cocoa butter massage. This is a special treatment to increase glow for entire skin. 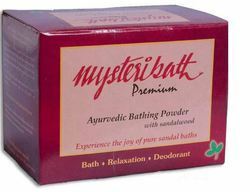 This is done with Ayurvedic herbs applied on body and scrub. Ginger, seaweed and green tea masque - Helps in rejuvenating the lost lustre of your skin from natural pollutants body masque - The epitome of luxury for your skin with a generous dose of antioxidants and oil. Give your skin luminosity and rich nourishment. We are engaged in manufacturing a wide range of body masks. Fresh flowers, fruit juices, vegetables and herbs, blended with absorbent clays for deep cleansing, toning and rejuvenating the skin. To be applied directly on moist skin.